Our Popular Paint Along with Miss Deb is a night of acrylic painting, learning, and fun! Join us for a night of creative outlet. 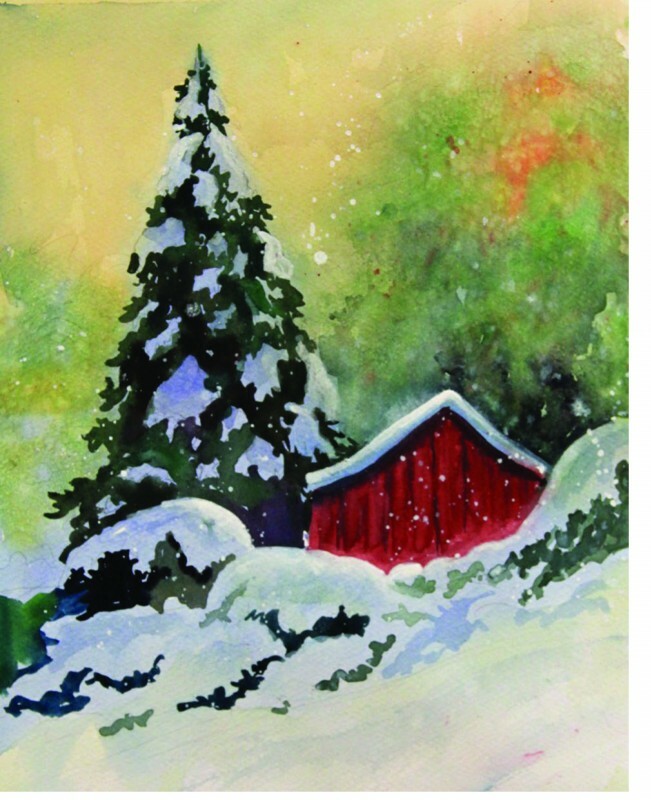 You will learn how to paint this "Tranquil Winter" with our expert Deb, who is a local artist and has been teaching this class for many years. She teaches brush, pallet knife, and composition techniques in a fun and comprehensive manner.